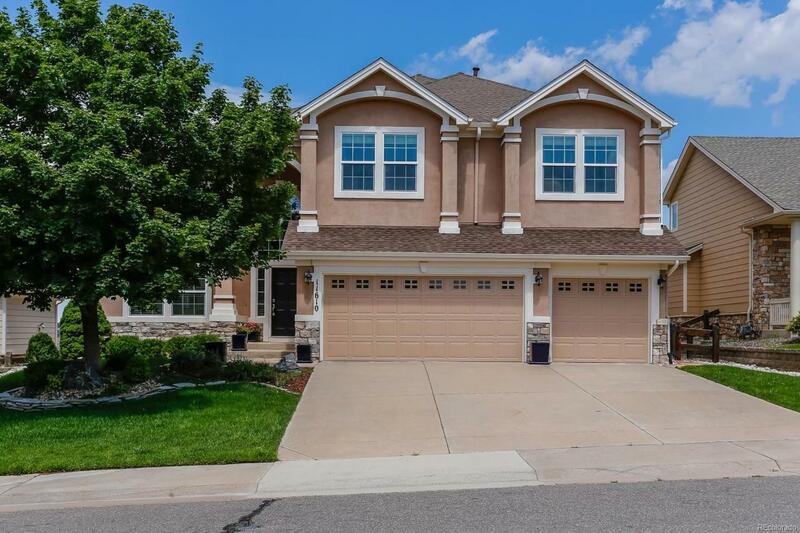 From the Grand Two Story Entry with circular staircase to the private back yard this amazing property will feel like home the minute you walk through the door. You will love relaxing by the back yard firepit overlooking the fairway of Black Bear Golf Course and entertaining on the oversized patio. The Master Bedroom with it's built in shelves and fireplace, newly remodeled ensuite bath will make you feel like you've stepped into a spa. All the bathrooms have been recently remodeled with the highest finishes. The secondary bedrooms are nice sized rooms serviced by a Full Hall bath to please all the members of your family. The kitchen is appointed with a countertop cooktop, double-ovens, upgraded dishwasher with granite countertops and complimenting stainless steel appliances. This floor plan offers all the space you could want with a formal living and dining room, study and large familyroom. The basement is wide open & ready to finish with your special touches. Quick Possession.